Term 1 commences on Monday 11 February (week 2 of school) Classes will be conducted for 9 weeks of the 10 week term (no lesson the first week as there are usually too many other things on). There are currently vacancies for guitar and violin. 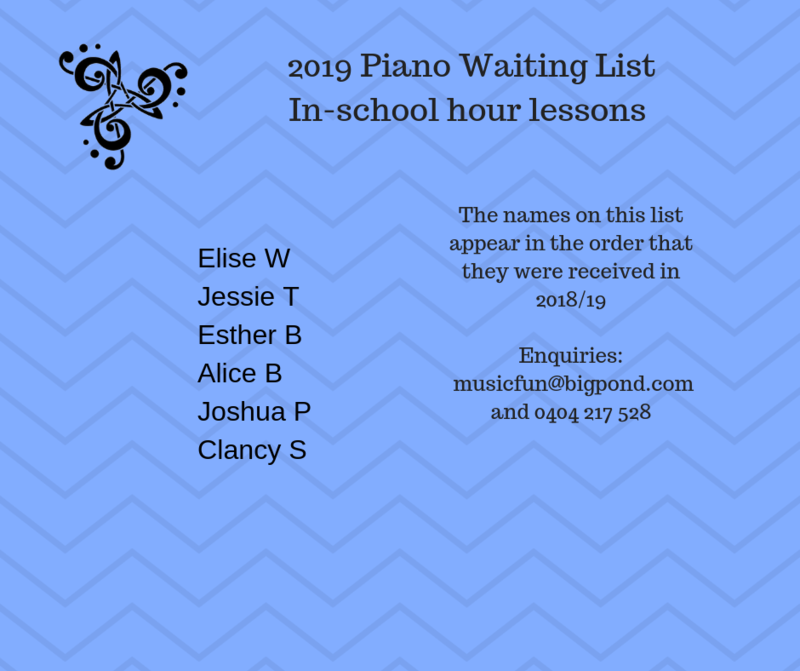 There are currently 3 after school hours places open for piano lessons. We have a waiting list of students seeking places during school hours – at the moment the in-school piano is being used all school day every day. We have over 70 piano students at Majura at the moment.